Ireland has seen many of its major retail centres being transacted to foreign companies in the past 18 months. We have seen the sale of the giants of Dundrum, Liffey Valley and Blanchardstown to foreign investors. However, these activity has not been limited to just Dublin for example US investment firms have acquired shopping malls in Navan and Mullingar. In has been argued that in 2016 retail assets emerged as the hottest part of the commercial property market. According to CBRE Ireland Consultants more than E1.6 billion was spent mainly by overseas investors, on retail assets in the first 9 months of 2016. This figure excludes the sale of Dundrum (the largest retail deal ever in Ireland) and sale of Liffey Valley Shopping Centre. The new acquirers are seeking to strengthen their returns on their investments. There has been talk that the retailers in Dundrum have clashed with their new owners over poor trading figures over Christmas. The 50% increase in parking charges is a big area of contention. It has been argued that footfall is down with people no longer making quick visits especially for food and the collection of prescriptions. Hammerson have argued that over 76% of their leases at Dundrum are upward only which is an interesting argument as since 2010 upward only rent reviews have been banned. Rumours are flying that tenants will seek rent decreases if trade does not pick up. There could be Interesting times ahead if a Dundrum tenant decides to challenge the landlord-only trigger rent review that are standard in Dundrum. Dundrum is not unique. The rumour in the market is there are growing concerns among retailers over their relationship with their new owners. 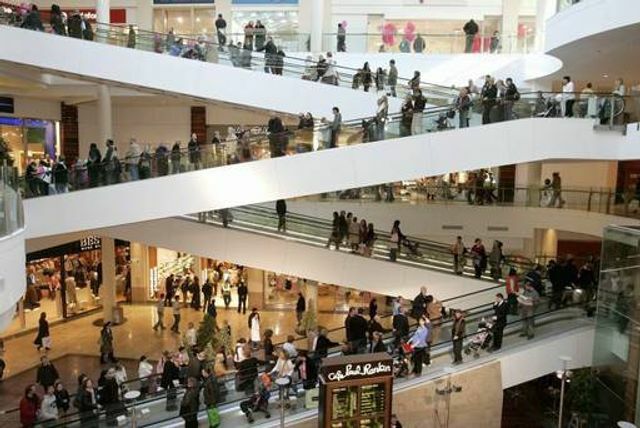 Retailers in Dundrum Town Centre, the country's premier shopping centre, have clashed with its new owners Hammerson over alleged poor trading over Christmas.